It looks great, but don't expect to see one in showrooms. Hyundai doesn't currently offer a roadster, but designer Yeonjoon Park imagines what a sporty droptop from the brand's N performance division might look like. His vehicle blends styling elements from a variety of other machines to create a little sports car that we'd love to see in real life. Up front, the N Roadster's front fascia seems to come straight from the Veloster but with larger intakes in the corners. Ducts behind the front wheels would likely pull cool air past the brakes to keep them cool while driving hard. The long, fairly flat bonnet is reminiscent of the Audi TT, especially in combination with the hexagonal grille here that's similar in shape to the one on the Four Rings' machine. Yeonjoon Park gives his N Roadster an hourglass shape that comes inward at the passenger compartment and becomes wider again at the wings on both ends. 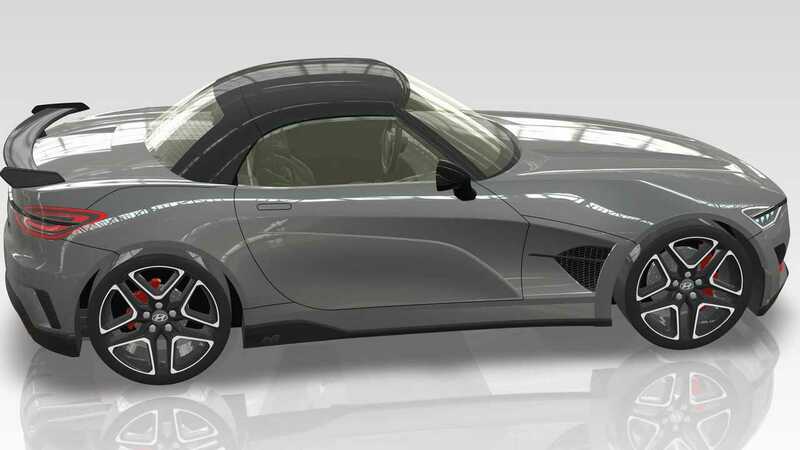 The renders show the N Roadster with a hard roof. This setup would offer better comfort when the weather gets chilly at the expense of adding weight and complexity to the machine. A better compromise might be a lightweight, manual soft top with the option of installing the rigid, fixed piece whenever the owner thinks it's necessary. From the rear three-quarters perspective, the sculpting lends a slight resemblance to the Fiat 124 Spider. The short deck is a classic element for a sports car. The small wing is a sporty touch, although the design might look cleaner without it. 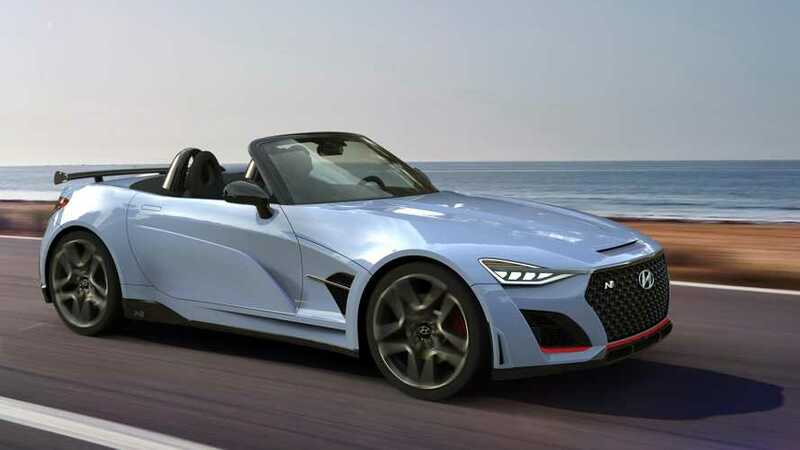 Unfortunately, there's absolutely no indication that Hyundai intends to enter the roadster market. In fact, the prospect seems rather unlikely given that the entry-level sports car market is currently weak in most of the world.